As a Yarra Valley Water graduate, you’ll develop your professional and technical skills in a challenging two-year rotation program, preparing you for an exciting career. As a graduate, you’ll experience a broad range of diverse and challenging experiences. With a rotation every 12 months, we will actively support your development and growth. You’ll work closely with other graduates and our Executive Team to improve customer, community and business outcomes. We expect you to drive projects, rather than being a cog in the wheel. Adjusting to corporate life comes with its challenges, so every graduate has a mentor, a buddy, and the full support of our Graduate Coordinator and leadership team to make sure everything goes as smoothly as possible. Learning opportunities are everywhere – classroom training, self-directed and on the job. And because everyone’s different, we’ll work with you to develop a tailored development plan to make sure you’ve got everything you need. Get to know your peers before starting your role and build a strong network by attending our team building days and participating in our online forums. We are need experts in various fields, so we offer roles and rotations in various areas of the business, including Engineering, Customer Experience, and Information Technology. You’ll have the chance to work on all parts of the lifecycle of our assets – from design to construction to operation. You will play an integral part in harnessing big data and developing intelligent water and sewerage infrastructure that will last over a century. We accept a broad range of degrees in the engineering stream, including Engineering (civil, environmental, mechanical, electrical, chemical), Environmental Science and Geoscience. Apply your Cognitive Psychology, Applied Anthropology, or Sociology study as a Design Research / User Research Graduate in the Customer Experience Division. You will learn to apply your research training to inform design solutions that solve business problems. Play a role impacting a positive change for Yarra Valley Water customers by understanding their behaviour and the underlying needs and values driving it. You will have the opportunity to gather and interpret data, generate design recommendations and report findings to refine a solution. The water industry is rapidly increasing its data collection capabilities, so you’ll be at the forefront of the big data revolution. Work in an Agile SAFe environment to design customer-focused products, and implement and continually improve the systems that form the backbone of our organisation. For our 2020 Program, we are looking for candidates pursuing a Cyber Security qualification such as OSCP or CCNA Security. Bachelor's Degree in Computer Science/ Cyber Security or equivalent. If you are a self-driven individual, who embraces challenges in creative and innovative ways to deliver exceptional outcomes, then this is the program for you. Our Graduate Recruitment process involves several stages, and here’s what you can expect at each stage. You are an Australian or New Zealand citizen, or have Australian Permanent Resident (PR) status at the time of application. Aboriginal and Torres Strait Islander applications are encouraged. The online application stage will provide you with an opportunity to tell us more about yourself. You will be asked to submit your CV, cover letter and academic transcript, as well as answer a few short application questions. It won’t take long, and you can save and return to your application at any time before submitting it to us. 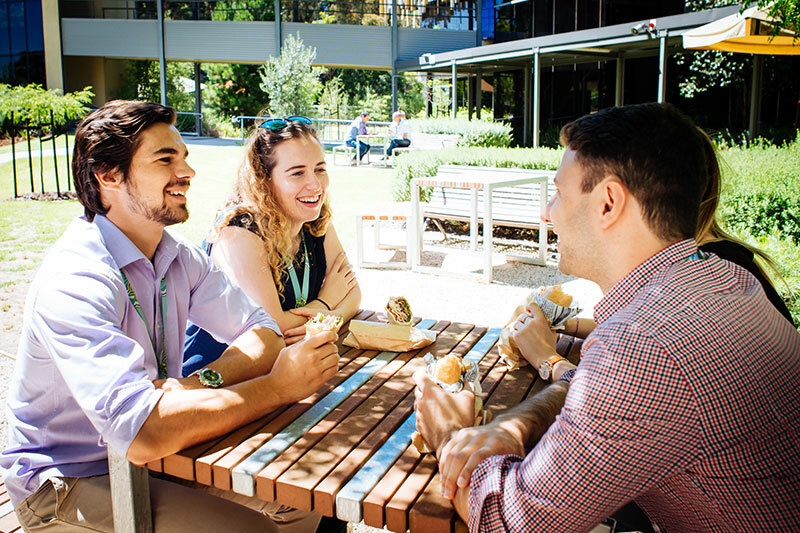 Online applications for the 2020 graduate program will open 4th March 2019. If you meet the criteria, we’ll contact you to ask you a few questions about why you’re interested in joining Yarra Valley Water. For this stage, we’ll ask successful candidates to complete online testing, to assess numerical and verbal reasoning abilities. At this stage, you will be asked to attend one of our on-site assessment sessions at our head office in Mitcham. During this session, we’ll ask you to work with others in a range of group and individual activities. We’ll take you on a tour of our facilities and you’ll get to meet some of our senior leaders. Following the assessment sessions, preferred candidates will be invited back to our offices for a face-to-face interview. The interview gives us the opportunity to learn more about you and gives you the opportunity to learn more about us and the position. Below are answers to some of the most common questions, sorted by topic. Question not in the FAQs? Feel free to get in touch with us if you want to know more about the program or our recruitment process. What’s it like to work at Yarra Valley Water? We’ve just been recognised as an AON Hewitt Best Employer for people practices and high levels of employee engagement. 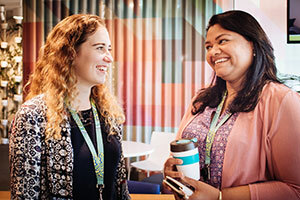 We foster a workplace where people feel valued, connected and are achieving extraordinary outcomes. Our head office is in Mitcham, so you’ll spend most of your time there. However, many of our engineers are required to visit various sites in Melbourne’s northern and eastern suburbs. What happens after I complete the graduate program? After you’ve successfully completed the program, you’ll join Yarra Valley Water as a permanent employee. You’ll transition into other roles within the business, in line with your degree, individual development plan and career aspirations. If my application for the graduate program is unsuccessful, can I apply for the program again? Yes you can, but you will need to make sure you still meet the eligibility criteria. Will I be provided with feedback if I am unsuccessful? Yes, you can request feedback after the assessment session and interview stages. Due to the volume of applicants we cannot provide feedback after the initial screening stage. Know enough and ready to start an exciting career with Yarra Valley Water?